Since the Ice Cream Sandwich release, Roboto has been the standard typeface for Android. On June 25, 2014, it was significantly redesigned for the upcoming version of Android. 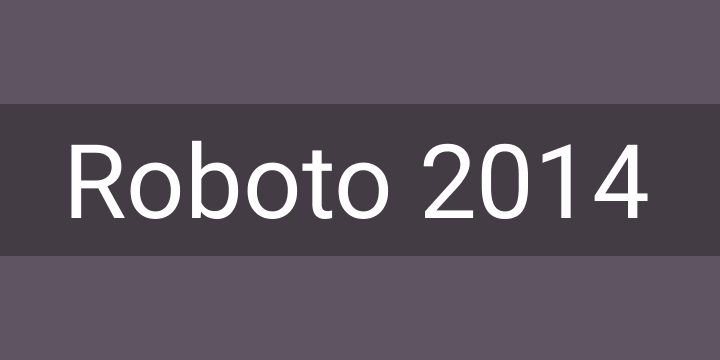 In this version, Roboto has been refined extensively to work across the wider set of supported platforms. The most significant changes are seen in the glyphs R, K, g, 1, 6, 7, and 9. Additionally, punctuation marks and the tittles in the lowercase i and j have been changed from a square dot to a circle dot. It is slightly wider and rounder, giving it greater clarity and making it more optimistic.